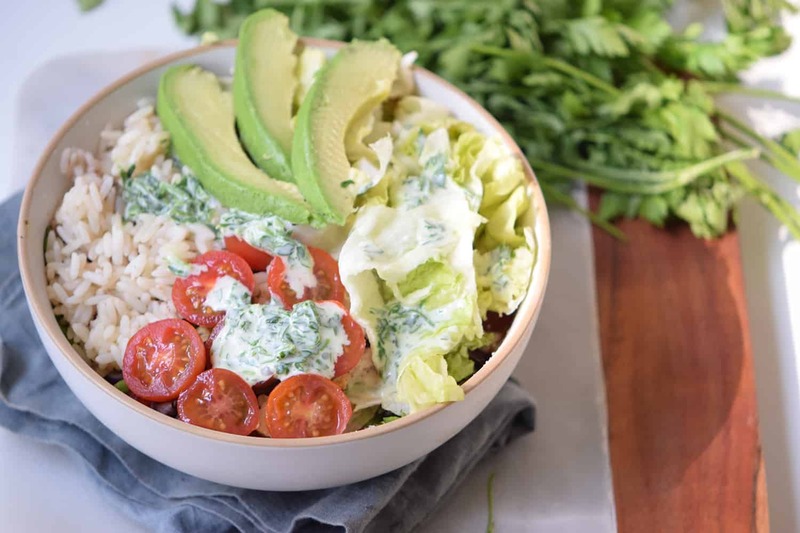 This cilantro taco bowl is jam packed with flavor and a delicious dinner option for those busy days. When it comes to salads I like them to be on the hearty and filling side. I mean I love salads, but if I’m going to have them as the main dish I prefer them to have a little bit more of substance if you know what I mean. So I’m always looking to add things such as rice, beans, and quinoa to them. My all time favorite has been this cilantro taco bowl. Mainly because it’s really easy to make but also because oh my gosh this is good! And I mean it’s so flavorful you don’t want to have anything else at all. 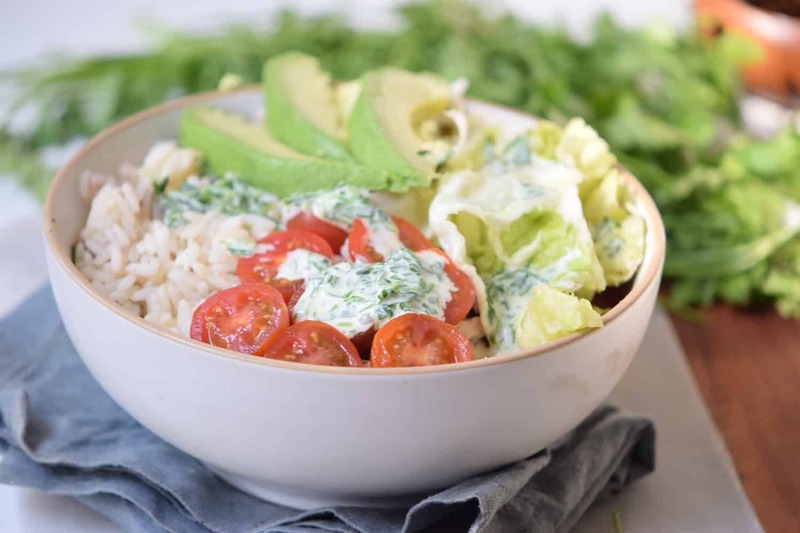 Besides that, it’s really filling because it not only has the veggie combo that’s just to die for but, it’s also made with rice which definitely amps it up a notch. You could also add beans and chicken if you are looking to add a protein kick to it as well, but if not rice is enough. And then it’s the dressing, oh my gosh I should make another post just for the dressing alone. If you are not a fan of heavy dressings, then this is the perfect match for you. 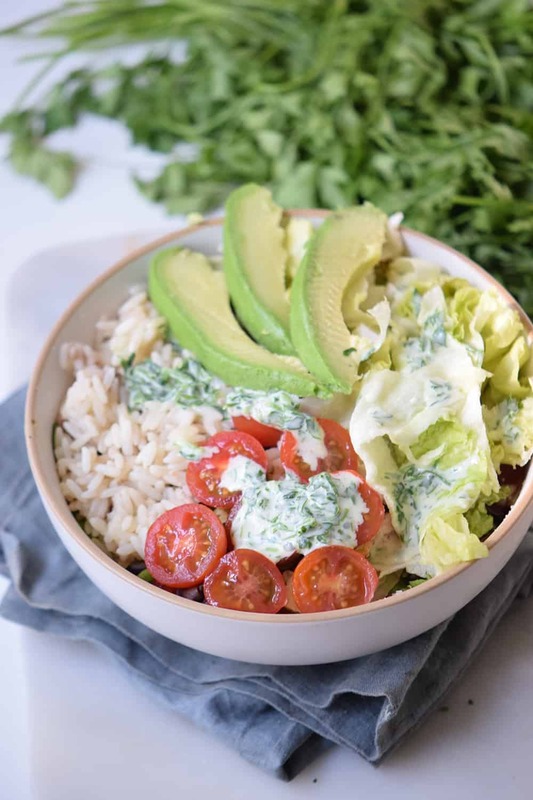 It’s light, it’s flavorful, it’s creamy (as in SO creamy) and it goes great with salads, with sandwiches, with bowls, and just with about anything that would benefit from an extra dose of flavor (hello, that’s everything!). 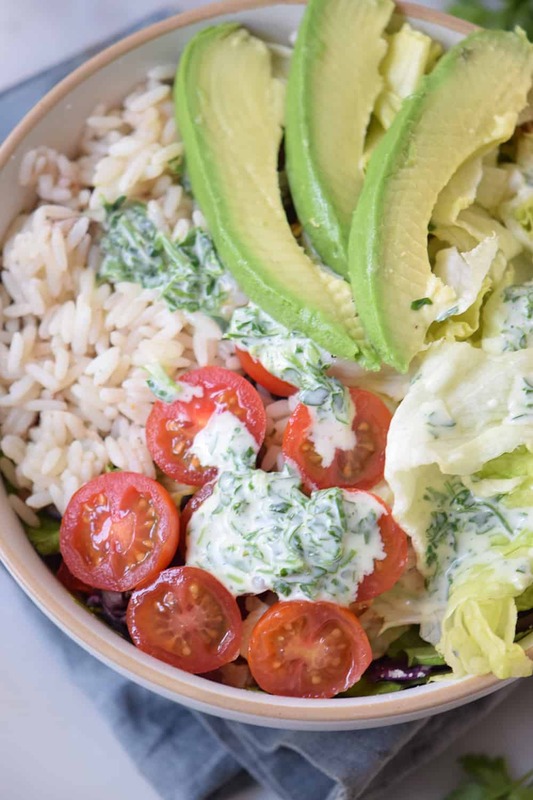 Seriously, just make this dressing, and drizzle it generously on top of your cilantro taco bowl and then have enough left sitting around for all the other meals. 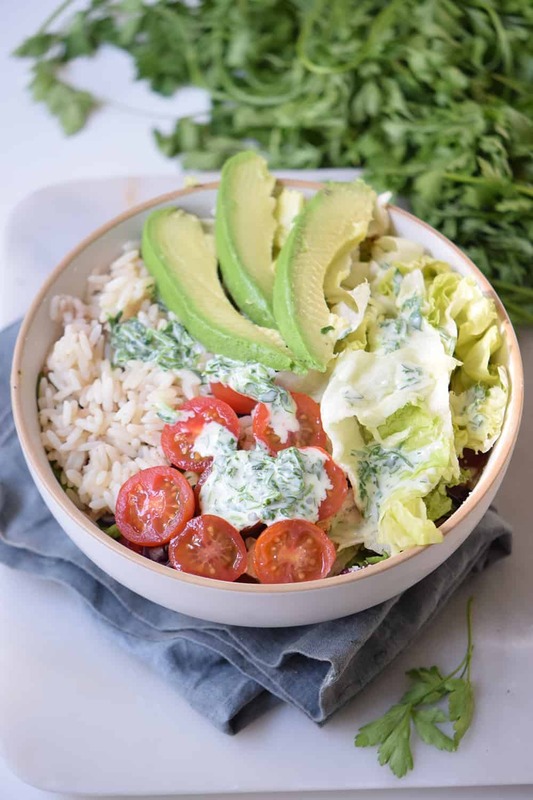 And also make a big batch of rice and you’ll have enough grab and go meals for the days, this cilantro taco bowl is as easy to assemble as it gets. Next Post: Hanes® with FreshIQ™: The Best Gift for HIM are sometimes the best gift for you.